1. 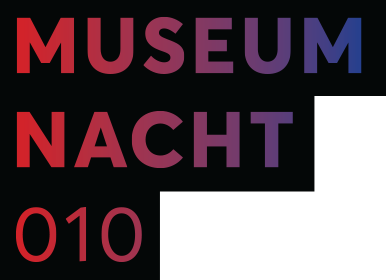 Where and how can I buy a ticket for Museumnacht010? Prior to Museumnacht010, passe-partout tickets are sold exclusively through this website. You can use iDeal, VISA, or MasterCard for simple online payments. There are special offers for CJP-card holders, Rotterdamoas and childeren to the age of 12. Tip: if you act fast, you can still get your hans on the special Early Bird tickets! Ticket-to-Wristband Exchange: During Museumnacht010 you have to exchange your ticket for a wristband. The wristband functions as the only valid means of admission to all venues. It is possible to either show your e-ticket on the screen of your phone or to bring a printed copy at the first location of choice. During Museumnacht010, you can purchase a passe-partout at Maritiem Museum (Leuvehaven 1). You will receive a wristband that allows you acces to all venues right away. You can buy tickets as long as the event is not sold out. 2. Where can I exchange my e-ticket for a wristband? Exchange your e-ticket for a wristband prior or during Museumnacht010 at one of the participating venues. The wristband gives you access to all venues. Show your ticket on mobile, or print it at home. Avoid queing up, get your wristband prior to the event: exchange your e-ticket at one of the participating venues during their regular opening hours. Avoid closed doors, check opening hours on their website. Close to Central Station? You can also get your wristband at Rotterdam Tourist Information at Stationsplein 21 from 10:00 – 18:00. Prefer to get your wristband during Museumnacht010? Exchange your e-ticket for a wristband at the first venue you’ll visit. We’re ready for you between 19:30 and 00:00. 3. Can I also buy a ticket in the city? On Saturday 2 March you can buy your ticket at Maritiem Museum, Leuvehaven 1 between 10 a.m. and 5 p.m. This location also sell tickets during Museumnacht010 between 7.30 and 11.00 p.m (if we are not sold out). 4. Can I show my ticket on my mobile phone? Yes, you can either show your e-ticket on the screen of your phone or bring a printed copy. 5. Is my ticket valid at all venues? Yes, your ticket is valid at all participating venues from 8.00 p.m. on 2 March to 1.00 a.m. next day. Show your e-ticket at the first venue to receive a wristband. To see the full list of institutions taking part, check the program. 6. Are there any special discounts? Conditions may apply. Choose the discount that applies to you in the ticket shop. Don’t forget to bring your CJP-card or Rotterdampas, when validating your e-ticket. 7. Is my Museumcard valid during Museumnacht010? No, your Museum Card is not valid for Museumnacht010. If you happen to have a CJP pass or Rotterdampas, special prices apply. 8. What are the times for Museumnacht010? Museumnacht010 starts at 8.00 p.m. on 2 March and ends at 1.00 a.m. next morning. 9. Do I need to register for specific activities at participating locations? In most cases, no. However, if that would be the case in one of the programs, we will clearly state the activity and registration processes. 10. Can I bring children to Museumnacht010? Certainly! There is a generous discount for children to the age of 12. There are plenty of activities that kids will love. 11. I’m by car. Where do I park? Coming from the South? Head to Kop op Zuid and park at Parkeergarage of De Rotterdam Wilhelminakade or use the open parking lot at Hotel New York. Nederlands Fotomuseum is in walking distance. Coming from direction Amsterdam? It’s best to park at Kralingse Zoom and take public transport to the station. 12. Is there special transport during the Museumnacht010? The best way to explore all venues is by bike or on foot. There are special Museumnacht010-buses that will get you from one place to the other. You’ll find the stops approximately 5 minutes from the venue. You can travel these buses for free with your Museumnacht010-wristband. Last buses depart at 01:00. There are also special cars – Mini’s – driving back and forth between the Nederlands Fotomuseum and Museum Boijmans Van Beuningen. In and adventurous mood? Get in the mystery bus and immerse yourself into a surprising journey across different venues. The Mystery Bus departs every hour in front of Museum Boijmans Van Beuningen. You can find this information on the handout.